Do you want to have MORE TIME, MORE MONEY, MORE FREEDOM and to reach your personal and professional goals? Horse Biz Bootcamp is an intensive coaching and training program designed to teach you basic business principals and provide high level, customized coaching as you apply them to your teaching, training or horse-related service business. Get a leg up in your biz with rock solid MENTORING, MASTERMINDING & TRAINING. Horse Biz Bootcamp is a one of a kind program designed especially for busy trainers and horse industry pros! 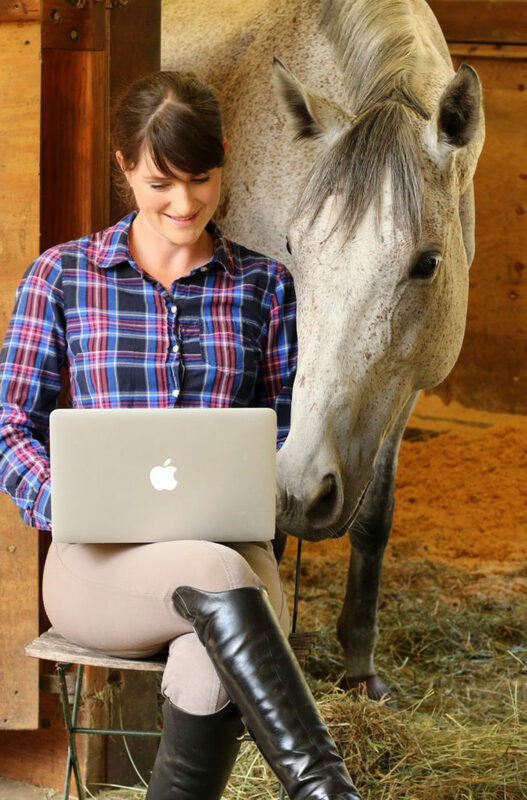 The Horse Biz Bootcamp Virtual Training Program is delivered entirely online so you can participate from anywhere in the world. 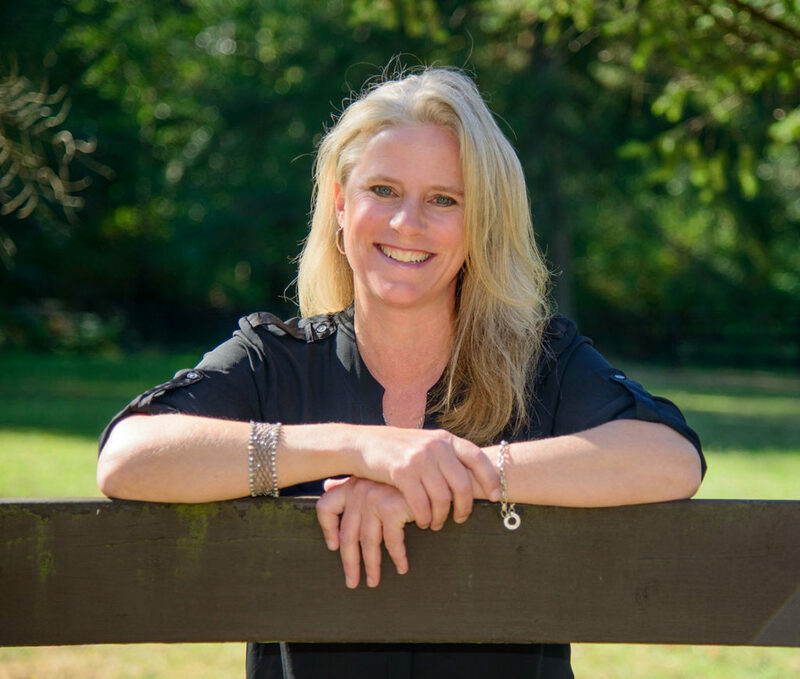 And to REALLY get your business in gear, the Horse Biz Bootcamp Coaching Program supports the virtual training program with TWO, One-on-One Performance Coaching Sessions with Jen Verharen. Horse Biz Bootcamp is specifically designed to be a high value, transformational experience — neither you nor your business will be the same once you’ve completed it. It’s also designed to be flexible so that you can get maximum results even with your crazy busy schedule. So, what are you waiting for? What makes Horse Biz Boot Camp different from other educational opportunities available to trainers & horse industry pros? There are tons of resources out there for you to learn new skills, develop your teaching and continue your education in horse care and riding theory. 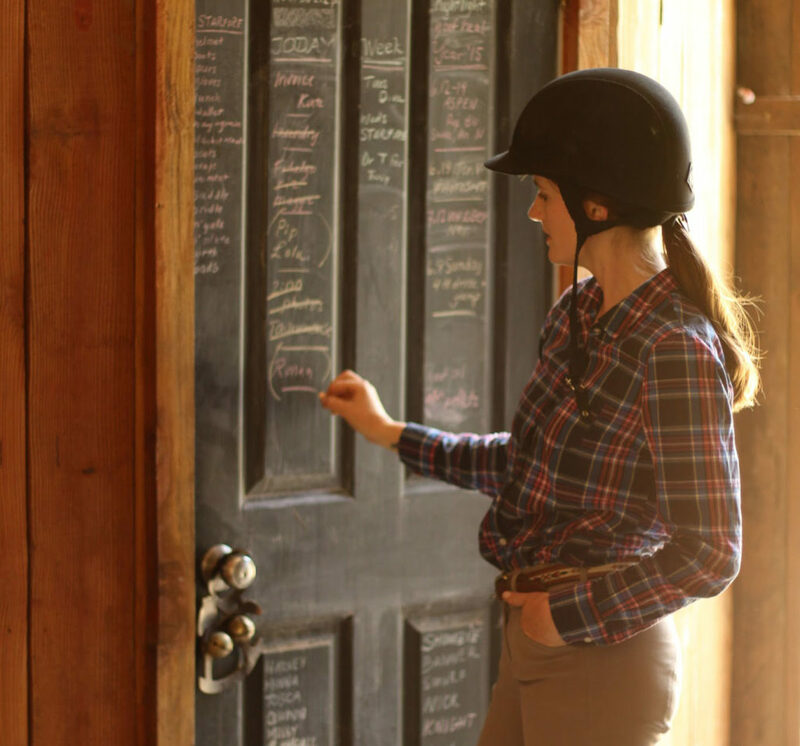 There are top-level experts available for regular riding instruction and in clinic formats. There are increasing opportunities for national and international competitive exposure in most disciplines. There are also tons of business courses out there and even websites designed specifically to provide horse people with business advice and resources. The thing is- as horse professionals, we are faced with the challenges of serving our human and equine clients, developing and maintaining our riding and teaching skills as well as running efficient and profitable businesses. Not to mention that we are also juggling many clients, managing our own riding careers, and sometimes taking care of and riding a barn full of horses! What business course or riding clinic can cover all this? And even if there was one, what I’ve discovered myself over the years is that information and skill acquisition are never enough to get you from point A to point B. We are emotional, mental, spiritual and social creatures as well as physical and it is simply not enough to KNOW what to do. Most of the time it takes support, motivation, accountability and HELP in order to make big changes in your life or your business. Horse Biz Boot Camp is the only real time, interactive coaching program available (that I’m aware of) that takes you through a process designed to provide you with basic business principals, support you as you implement them AND takes into account the unique challenges that you face as a horse professional. There is simply nothing else like it. In under a year and only three sessions with Jen I grew my training business from fledgling to full with a waiting list and new rates. I could never have anticipated how pivotal Jen's coaching would be for my professional development. She helped me create positive thought patterns, confront financial issues I had been avoiding, and define my priorities so that I can stay focused and organized in my work. I am more balanced, confident and productive. I feel, as a result of business coaching with Jen, that I’ve been able to grow my business exponentially. Honestly Jen, thank you for your generosity, expertise and encouragement! Horse Biz Boot Camp has given me the confidence to make some major changes in my business but even more importantly, it has made the end of every month so much less stressful! I actually have money left in my account- I no longer just hope I can squeak by! I also have more time for myself and to spend with my family. Horse Biz Boot Camp has helped me gain confidence, and has become a resource that helps me get organized. It has given me mental toughness to make hard choices I need to make in order to stay in business. I thought this would just be a business course but it ended up being much more powerful than that! It was about crafting a successful business through personal vision and finding ways to achieve your biggest goals. Thank you so much Jen! This program has changed my life! It helped me become proactive, kept me accountable, and got me to focus on my ideal client. I am seeing my life and my business more clearly. I’m healthier and living with more integrity than I ever have. I loved the recorded trainings, the calls and the coaching from Jen. Horse Biz Boot Camp has given me a systematic approach to my business. Jen encouraged me to NOT ignore the things I don't like to focus on and now I actually enjoy the hard things. Can’t wait for the next program! Horse Biz Boot Camp inspired me get on top of communication in my business and helped me figure out a better book keeping system. The program kept me motivated and on track to make the changes I needed to make. The fact that it lasted for several months meant that I had ongoing support and motivation through some ups and downs. I LOVED THIS PROGRAM! There is nothing I would change. I feel like the most common piece of advice I give to people is, "you need to set up an appointment with Jen! HBB has inspired me and help me see so many possibilities! I feel more focused, have better clarity, and a good handle on where the holes are in my business. I’ve hired help, and I have resources for getting more as my business grows. This program has made me feel free to create the business I need and want for my family and myself. I feel way more empowered to "steer the ship" in a way that makes sense for the future. It has helped me be more thoughtful about the whole picture of my life- which includes my two little girls, my husband and outside interests. The camaraderie and shared humor around the struggles we all face was really great! I have improved awareness round my own blocks- no more perfectionism and do-it-all-myself shenanigans! Love the industry experts… love the pushes to be reflective and thoughtful… love the real world, horse industry reality… Such a helpful program! The positive, powerful, self-directed strategies for making changes and progress toward what matters most are fantastic. Thank you for creating this program! This program has really challenged me to push myself, prioritize what’s most important and have the courage to be vulnerable. I’m taking better care of myself, have clearer boundaries, and am thriving in my life and business. The sense of safety and community that this program provides plus the business tools are helping me step out and take action as I make some big changes in my business. Thank you, Jen for pushing me to believe in myself, giving me amazing tools and helping me find the courage to step out of my comfort zone! This program has helped me direct my business in a positive direction. Jen is the best coach I have ever worked with! She has a clear plan that leads down a positive path. If we ever got hung up on something, she would use the coaching calls to help us see more clearly what needed to be worked on and how we could make progress. She made it all seem so easy! I’ve learned that there’s a better way to do things in my business and I CAN do it! The structure of the modules is awesome. The clear steps to moving forward and improving your business are really helpful-- I just wish it were longer!! This program was so much more than I expected! I’m clearer about what I want going forward. I have more confidence. My favorite HBB of the program are the logical presentation of ideas, the tools, the coaching, and the industry expert calls. HBB is awesome- I highly recommend it! HBB provides extremely helpful information about business aspects of the horse industry. Hearing that other trainers share my same challenges helped me realize I’m not alone. The industry experts that participated in the conference calls were so helpful and I love having the replays that I can refer back to anytime. This program helped me restructure things in my business that have been roadblocks for me in the past. I have so much new information and many new ideas. Thank you, Jen! HBB gave me the boost I needed in order to take direction in my life! It taught me that anything is possible as long as I’m clear about what I want. It gave me courage to take action and start a new business and opened my eyes to the possibilities in front of me. I learned about what it takes to be successful in my personal life as well as my career. I have so much more confidence now. I enjoyed this course because it not only helped me build a foundation for starting a business but also prepared me for the challenge on a personal level. This program created the perfect foundation for my business to grow to its highest potential. Jen, you made me feel like I belonged even though I am not as focused on horse training as the other participants. You gave me all the tools I needed to start my business. Your positive energy helped me believe that anything is possible! Thank you for this amazing program! HBB inspired me to clean up my website and put written policies in place for cancellations and late arrivals. I have a clear list of values for my business; I'm clear about who IS my ideal client and who is NOT. Jen, your programs make me more confident while simultaneously helping me realize how much more I have to learn. I love the recordings, both the weekly modules and the calls. They are great to listen to as I drive and I often listen multiple times. I love the camaraderie and community that this program creates for trainers. Thank you! Making positive changes in my business has relieved so much personal stress! The material in HBB was so well presented. My favorite parts were the audio content and business templates. The value is incredible. This course is fantastic- everything about it far exceeded my expectations! I really enjoyed participating in this program. I implemented a lot of little things into my life and business that have made a big difference. It was super helpful and I would definitely do it again! I value myself more now. I loved listening to other participants, sharing ideas about how to solve problems and realizing that we’re all in the same boat, struggling with the same things. Thank you Jen! HBB has given me a clearer vision of the direction I want my business to go and I feel empowered to stop doing things that are not financially or emotionally rewarding. (Like traveling to outside locations and trying to make a lesson horse program work!) I have given myself permission to say "no" to work and say "yes" to things that I need to take care of in my personal life. This program has helped my husband and I prepare for his retirement. We have become more of a team in divvying up tasks to get some important projects going! I like everything about this program! The format works so well for a distance program. I especially loved the conference calls and the sessions with industry experts- Lendon Gray, Eliza Sydnor & Beth Clarke! It is so valuable to have the opportunity to hear from these types of experts. The Facebook group provides an awesome resource and the ability to ask for help and feedback whenever you need it. Jen, Thank you so much for developing a well-organized and valuable program for equine professionals. Your willingness to share your expertise and provide a safe and positive environment for us to go through this process is invaluable. I’ve learned so much from the modules as well as from the collective experience of the other participants in the group. I will definitely be looking for more opportunities to participate in Cadence Coaching programs! There are so many wonderful things to say about Jen and her energy, enthusiasm, and intelligence. This is a great program, and it’s going to help lead me into a new and very successful chapter in my life. I'm feeling freer to change, to make my life what I want, and to not work with people or horses that don't interest me. I’m learning to let go of things that bring negativity into my life. I highly recommend this program: 10! Have systems and processes in place that free up your time and make your business run more efficiently so you can spend more time doing what you love. Have a replicable process for creating and achieving important personal, professional and business goals. Have a simple business plan in place. Have clarity around your unique value proposition, how to attract and retain your ideal clients, and how to develop a simple marketing plan. Know your numbers, understand pricing strategies and have begun to develop a business model, book keeping system, and a plan for creating financial security. Have identified areas where you need to delegate and developed a plan for creating a team or for managing the team you have optimally. Have developed powerful leadership qualities that serve you in your relationships with your clients, your horses and with other professionals. I am not a trainer but I am a service provider in the horse industry. Is Horse Biz Bootcamp for me? Yes, Horse Biz Bootcamp is relevant for trainers and service based pros. Some parts of the program may seem more geared toward trainers but all of the principals, training and coaching are applicable to any service related business. If you have a product based horse biz, you can still get value from the program but may find that some of the topics are not as relevant for your business. I feel ambivalent about taking this step and actually changing things up. The very idea of this program makes me nervous. Quite often, I have people say to me, “I don’t like setting goals in my business because I never achieve them.” or, “I’m tired and overwhelmed but there’s not much I can do about it.” or “Things aren’t working but I don’t know what else to try.” If you’ve ever felt this way, you are so not alone. It simply means that you’ve never learned WHAT to do to make your business work or had the support to MAKE IT HAPPEN. Streamlining your business does not mean you are bound to a particular course of action, that you suddenly need to become a business expert or focus on profit over service. In this program, you define what the CORE VALUES for your business are, figure out what you need to do to create the business you dream about and then courageously go for it. This program is about discovering what “success” really means for you in your life and business, setting goals and setting up processes that are truly in alignment with the contributions you want to make in the world. Note: If you feel nervous or get butterflies about doing something that pushes you outside your comfort zone, it means you’re on the right track! Since this is an independent study program and is inexpensive compared with other comparable programs we do not give refunds for Horse Biz Boot Camp. It is also our goal to hold you to the highest standards possible and that means helping to hold you accountable for what you most desire! I am having technical trouble registering for Horse Biz Boot Camp. I am truly undecided. How can I decide if Horse Biz Boot Camp is right for me right now? You are not alone. You might hear a voice in your head saying, “I really should be able to do all these things on my own.” Or “Yikes! I’m not ready to play big in my biz yet.” Or “Maybe I’ll start next month.” Here’s the deal. The part of you that likes things to stay safe and familiar, the part that keeps putting off important tasks and telling you you’re not ready or not good enough, is trying to save you from discomfort and keep you safe. That part of you is shakin’ in her boots, knowing that signing up for Horse Biz Boot Camp will mean mixing up the status quo. Signing up for this course is a significant first step toward taking your business and life to a whole new level and setting a bar for yourself higher than you’ve maybe set before. Fear and the voice of your Inner Critic will naturally bubble to the surface. By the end of the this program, you’ll know exactly how to deal with this and shaking things up in the face of your Inner Critic will be child’s play for you. In this moment, though, listen. Try to hear both the voice of your Inner Critic and the voice of your dreams and aspirations. Which voice do you usually hear the loudest? What would it be like to make this decision based on the voice of your dreams and aspirations, not your fear? Your fear may be louder than your dreams right now but all it takes is one courageous act to turn that around. Is this that courageous act?